Avon cosmetics offer high quality makeup women have loved for generations. Long touted as the company for women, Avon continues to offer favorite products and new innovations in beauty from skincare and bath and body products to jewelry and accessories. Since Avon products are sold by individual consultants, you can have the fun of finding the right color combinations and makeup types in your very own home. Avon representatives help you to access your skin type and make your features look their best. Facial cosmetics form the baseline for the rest of your makeup, providing beautiful, healthy looking skin. Avon's foundations and pressed powder products offer perfectly matching foundation combinations for flawless skin. Hide minor flaws and blemishes with quality concealer creams. Nothing says beauty like a sun-kissed or a rosy-cheeked glow. An everyday essential is Avon's blush, available in Classic Aura, Soft Plum, Earthen Rose, Russet, Mad About Mauve, Rose Lustre, Molto Mocha, and Cranberry. Slip a Mark Just Pinched Instant Blush Stick into your purse or bag for easy color touch ups on the go. Touch and Glow powders offer blushing and bronzing for face and cheeks. For beautiful eyes, Avon's True Color shadows and liners are available in a variety of fresh and classic shades. For some added sparkle, try mark Ibiza Sol Marbleized Eye Shadow Stick. If you are attempting a look that lasts through warm days, try Big Color waterproof eye pencil. Avon also offers gorgeous shades of lifting eye shadows designed to minimize the look of aging around the eyes. Colors include classic black, black-brown, navy, and brown. Don't forget your eye makeup remover to keep your eyes healthy and beautiful. Sleeping in mascara and eye makeup can wreak havoc on lashes and delicate eye tissue. Lipstick and lip products are some of the top selling Avon cosmetics. Rated as the number one selling manufacturer of women's lipsticks, Avon offers a wide variety of cool, warm, and neutral shades of lipsticks in satin and sheer finishes. Define glamorous lips with Glimmersticks. Avon lip glosses include Pro Gloss Plumping Lip Shine, Glazewear, Festive Favorites, and several lip balms and tints. Keep lips healthy with moisturizing lip treatments, aloe balms, and plumping conditioners. Even the best makeup products won't fare as well with skin that's not well cared for. While concealers and foundations can help cover problem areas, it's best to have a proper cleansing, exfoliation, and moisturizer program as your first line of defense. Avon offers several lines of skincare, including the Anew anti-aging and restoration line, the Clearskin line for acne-prone skin, and a variety of other specialized skin care products from Avon Solutions. The right skin care products help to build a healthy base for beautiful makeup application. A line now carried by Avon is a brand called mark. 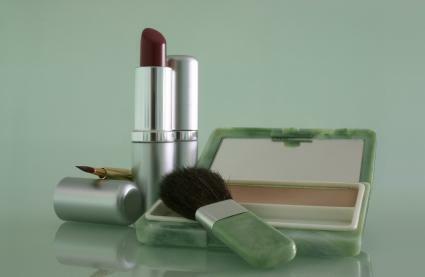 Mark cosmetics are geared toward younger women focusing on fashion and flair as well as quality. Fresh colors, shine, and sparkle are the defining traits of the mark cosmetic line. Avon's signature quality skincare and bath and body products are part of the mark line as well. Handbags, pretty jewelry, and fun accessories complete the line for a fresh take on beauty and fashion. One of the best things about buying Avon makeup and other products is that there are usually offers of free or discounted products with your purchases. Check frequently, or sign up for e-mail alerts to keep up with the latest specials and great deals. If you don't already know someone who sells Avon products, chances are there's a representative closer than you realize. Enter your zip code on the website to find a representative near you, or shop online directly. Better yet, become an Avon consultant yourself and have fun buying and selling cosmetics from one of the leaders in the beauty industry as your own home business. You can also purchase these products through websites like eBay or Amazon.